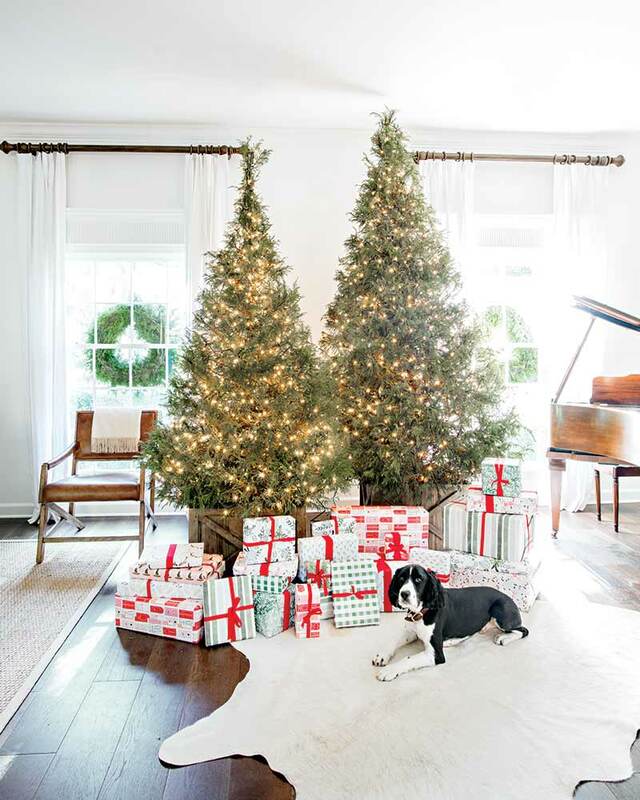 Rather than decking the halls with vivid colors and shimmering gold ribbons, Monica accented the natural tones of her home’s existing décor with an abundance of greenery, which, along with her trees, she bought from Webster’s Christmas Tree Farm in Darien, Georgia. 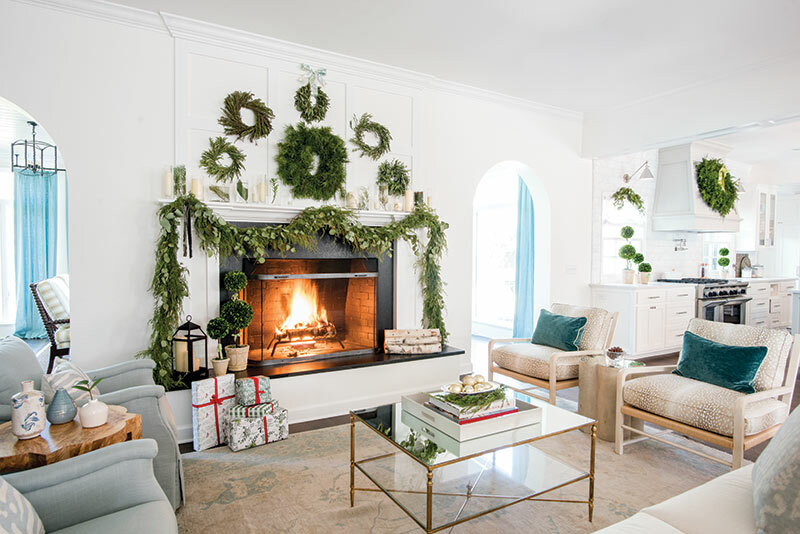 The soft blue hues and crisp white walls throughout the home are perfectly enhanced by the rich green tones of plentiful wreaths and garland, with drops of red peppering the design with holiday cheer. 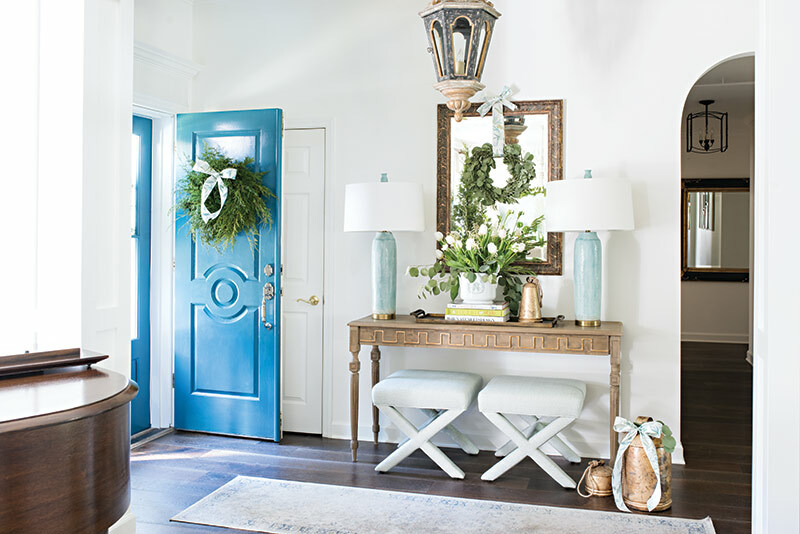 “I kind of wanted to just keep the décor simple in a sense,” the blogger notes. 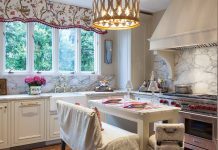 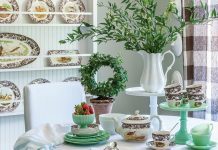 When it comes to dining room décor, Monica says, “It’s about being more approachable.” She adds that an understated elegance can help guests feel special without making them nervous to sit down at the table. 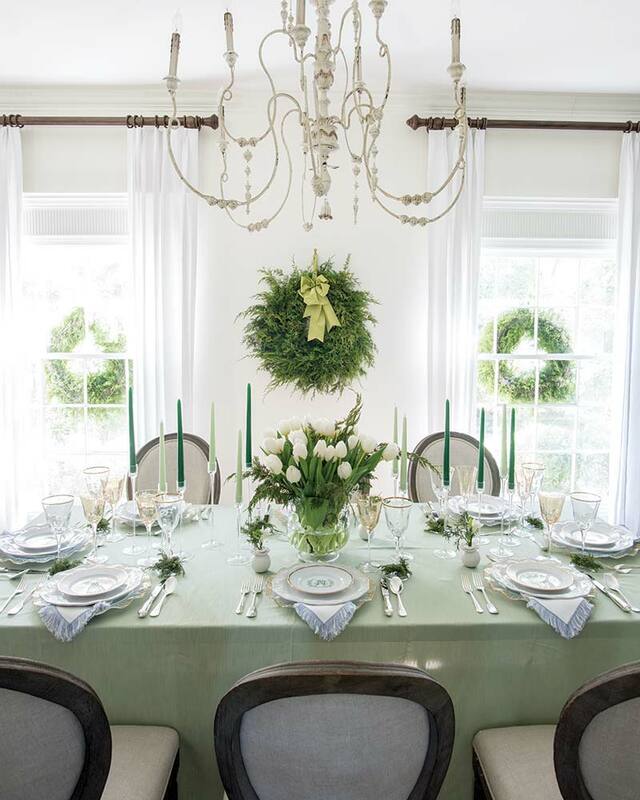 On her own table, she used simple taper candles and tulips accented by a lively wreath and a spray of greenery atop the art on the wall.